Last Thursday, 22 May 2014, the fourth meeting of Coimbra JUG was held on the Department of Informatics Engineering of the University of Coimbra, in Portugal. The attendance was very good, we had around 30 people to listen Paulo Martins talk about the Web Framework – Google Web Toolkit. A very special thanks to Paulo for taking the challenge and steer the session. I did a quick introduction to the group to welcome the newcomers and Paulo dived right in the session about Google Web Toolkit. GWT is not exactly a new technology, but I think that the topic draws some interest since I know a lot of people using it in their projects, and looking into Rebellabs – Java Tools and Technologies Landscape for 2014, GWT appears at 4th place for the Web Frameworks in use with a 10% share. 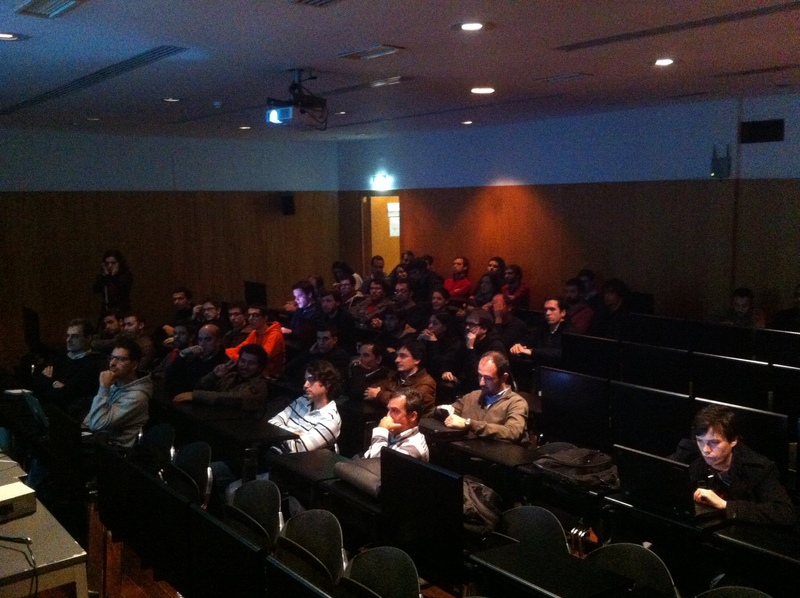 Only a few people in the audience used GWT before, but there was a lot of interest to learn a little about it. Paulo presented some of the most relevant topics about GWT and show cased a few examples with live code demos. For this meeting, Paulo had a surprise for the attendees: beer and chocolates. Thanks for Praxis Brewery for proving the beer! IntelliJ also sponsored our event, by offering a free license to raffle among the attendees. Congratulations to Bruno Martins for winning the license. Develop with pleasure!